What would you think if someone told you that in your lifetime you could be a millionaire? Do you think you’d be interested? Well sure, but...what’s the catch? · Track your spending in a way that allows you to control your cash and credit expenses each month. · Review these expenses regularly (at least twice a year; monthly is best) and adjust them so that you are living within your earnings. Stop those daily expenses that take money away from your millionaire pile. · Pay off high interest credit cards and loans. · Always pay yourself a percentage or a fixed amount that will grow towards your millionaire pile. · Keep a small fund for emergencies (real emergencies only) that will help you through a job loss or a disability and have it earning interest. If unused, it will also be part of your millionaire pile. · Unlike our parents’ generation we must ensure that we build our own nest egg—you should add yearly to your retirement funds. This is also part of your millionaire pile. · Allocate your finances into investments with the highest earning potential under a comprehensive investment portfolio. Less accessible, longer term investments should earn much higher rates of return and can be riskier. 2. Understand your employer/ university benefits and maximize them. Once you review the existing benefits, check them annually. Do they still meet your needs? · Review your retirement/saving plan(s) and contribute the maximum you can tax deferred. · Review your health care and other benefits so that you are not paying for things already covered in your plan. · Lobby for better tax-advantaged benefits from your employer. Your employer would probably adopt them if they knew you valued them. · If you have options, setup a plan for how you’ll exercise, sell and diversify them. 3. Build an investment portfolio that will grow your millionaire pile with time and will require minimum attention. Don’t expect that others will do what is best for you unless you’ve developed a relationship with a financial advisor who understands your goals and you understand their compensation. If you are a do-it­-yourselfer, take an investment course (make sure you learn about index funds, ETFs and minimizing fees) and build a diversified, risk adjusted, asset allocated portfolio on paper. Evaluate its performance over at least a 10-year period before applying it to real funds. Annually evaluate how your millionaire pile is growing. 4. Consider insurance for large risks (keep your deductibles as high as you can afford) and save the unpaid premiums in your millionaire pile. Always get a second opinion on any insurance product, particularly annuities. 5. Plan your tax strategy annually. This strategy can be as simple as maximizing your 401K and Roth IRA contributions or as complicated as needed. Reviewing your tax strategy will allow you to grow your millionaire pile using all available tools. 6. Give to your community in ways that are within your budget. Volunteer your time or resources to help grow the community in ways that meet your personal values and means. You don’t always have to give money, but if you do, consider tax efﬁcient ways in which to donate. 7. Write out your 6-month and long term goals. Make a commitment to review them every six months. It can be fun to review what you’ve done over the past six months and focus on what you can do over the next six months. Use this opportunity to align your current situation with your ﬁnancial and life goals. Make time to review your personal goals and finances. 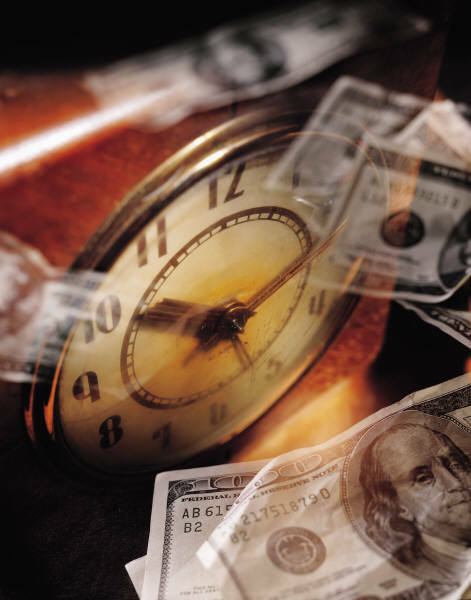 You’ll ﬁnd that as time passes and “life happens” you’ll keep growing your millionaire pile. Look for our Financial Health column in the next edition of this newsletter. If you have any suggestions for topics you’d like to learn more about, we’d like to hear from you. Thanks and have a prosperous New Year!